I stopped by Anthropologie on my way back from the High Line the other day (which completed my perfect morning). If you follow my tumblr, remember when I completely flipped over this dress? 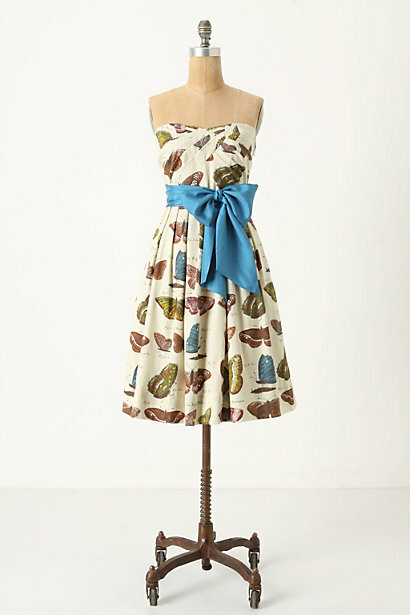 Well, the Lepidoptera dress is now mine mine mine. Yay! I love how it's a little bit academic, each butterfly is given a figure number, like in a textbook, with its name. And the crinoline at the hem makes me feel like Alice in Wonderland. 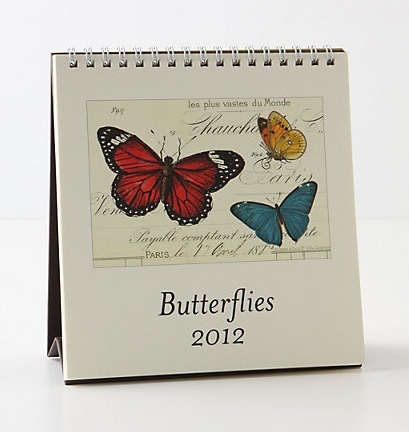 Apparently, I'm in a butterfly phase, because this calender also came home with me. Ha, yes! I'm sure it'll be a relief for all involved.